I always wanted to go in and see this property because it sits in such an amazing location at the base of the Thunderhead property and it always stands out as being such a gorgeous design. 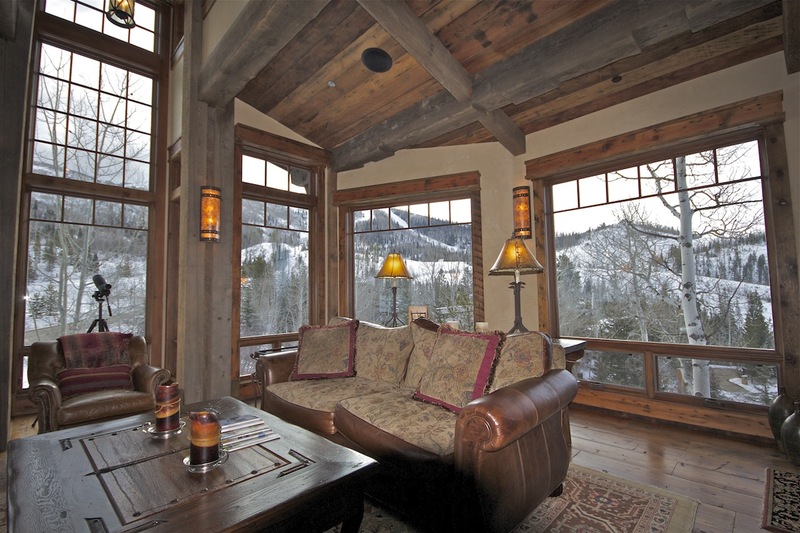 As you enter the residence, you are immediately struck by stunning woodwork with views of the mountain in the backdrop. There is a gorgeous wall designed of rock sections from the floor to the ceiling that gives the home a sense of ambiance. Each bedroom is uniquely designed yet all of the rooms of the house are perfectly complementary in style. Each of the 6 bedrooms have their own private en suite as well as their own fireplace. Joe Patrick Robbins meticulously designed each bathroom with their own antique classy style that highlights the true attention to detail in this luxury residence. Enjoy a day of skiing, walk just a short minute, and enter into the ski room specifically outfitted with boot and glove heaters, cubbies for belongings and ski hooks. There is even a work bench area where you can tune your skis or fix a binding. Take a sauna or relax after the day in the media room fit with comfy couches, cards table, reading nook, and a luxurious old-style bar. The magic behind the bar is the walk-in temperature controlled wine cellar that would impress any wine connoisseur. If you are looking for a home with a true Rocky Mountain feel, this is definitely worth pursuing further! Pictured above: The wine cellar door Pictured above: an example of a unique bathroom sink! This residence is the new Gold Standard for homes in Steamboat. Start with the location. This corner lot in the quiet Rendezvoue Trails neighborhood borders only one other lot. There are unobstructed views up to the ski area and down valley. Step out the ski room door and you have less than a one minute walk to the Thunderhead lift. Put a design and construction team together with Joe Robbins, Cogswell Construction, Lynne Bier and Rich Tucker and you should expect the finished residence to be close to perfect. When this home is being shown to a Buyer, expect to spend well more than an hour to view all the finish details and to appreciate the workmanship through out. There are 6 bedrooms with ensuite baths. They range from a spectacular master suite with double walkin closets, beamed clerestory ceiling and beautiful rock fireplace to the cowboy bunk room. 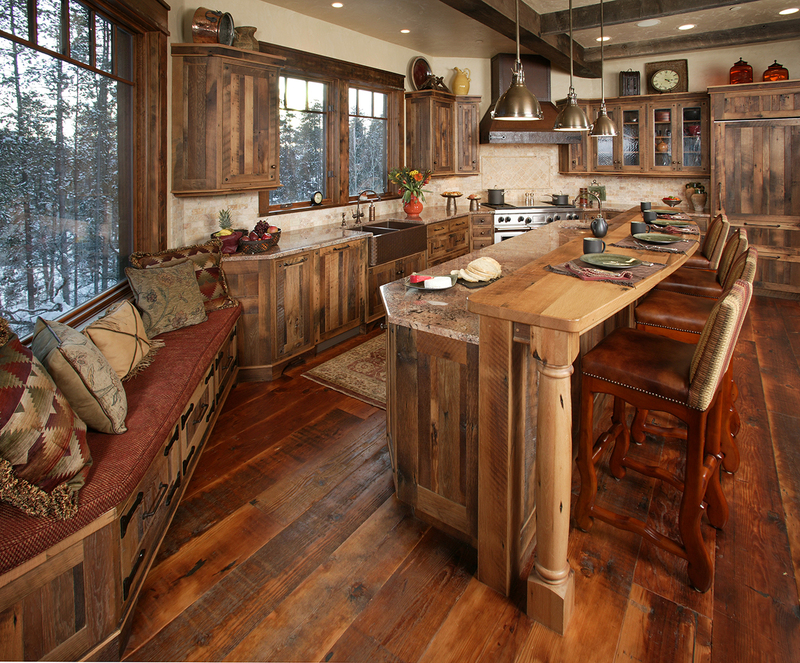 The family/game room can entertain a large group and features a custom knotty cherry bar. Other highlights to the home include a ski room with storage, benches and ski tuning work table, exercise room, temperature controlled wine room, sauna, hot tub, large laundry room, office/study with builtin knotty cherry desks and bookcases and a mudroom that has a storage place for everything that comes in from the outside. There are seven fireplaces in the home. The center piece of the home is a wood burning fireplace that can be viewed from the living room, dinning room and kitchen. The exterior landscaping has minimal maintenance and there is a snowmelt system for the entry walk and driveway.